When a folder is selected, only the items in the folder are displayed in the adjacent table in the Content Pane. If a folder contains sub-folders, items in those sub-folders are not displayed. 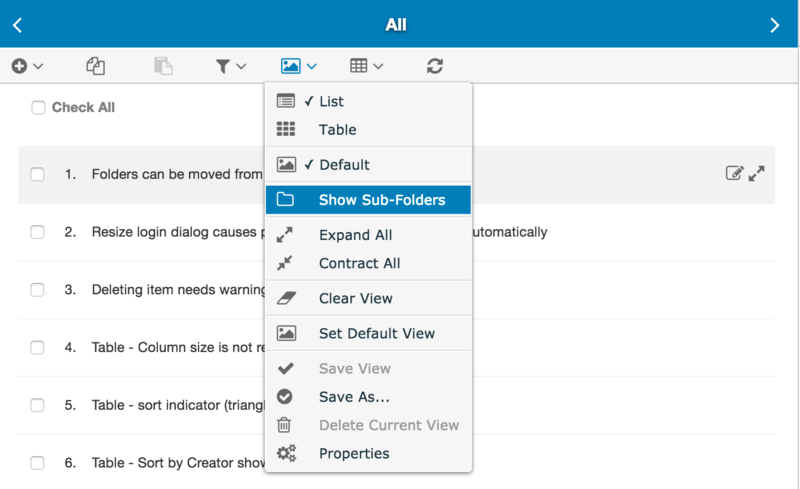 To display items in a folder and its sub-folders, select "Show Sub-Folders" from the View menu in the Content Pane.